Living in NE with the snow we get, the cover is stronger & heavier than what we found in town. Seems fine. We won't use it, though, until fall weather comes. We'll be using this product at the end of this summer season. its strong, holds up to the cold weather and heavy snow and ice. id buy again. 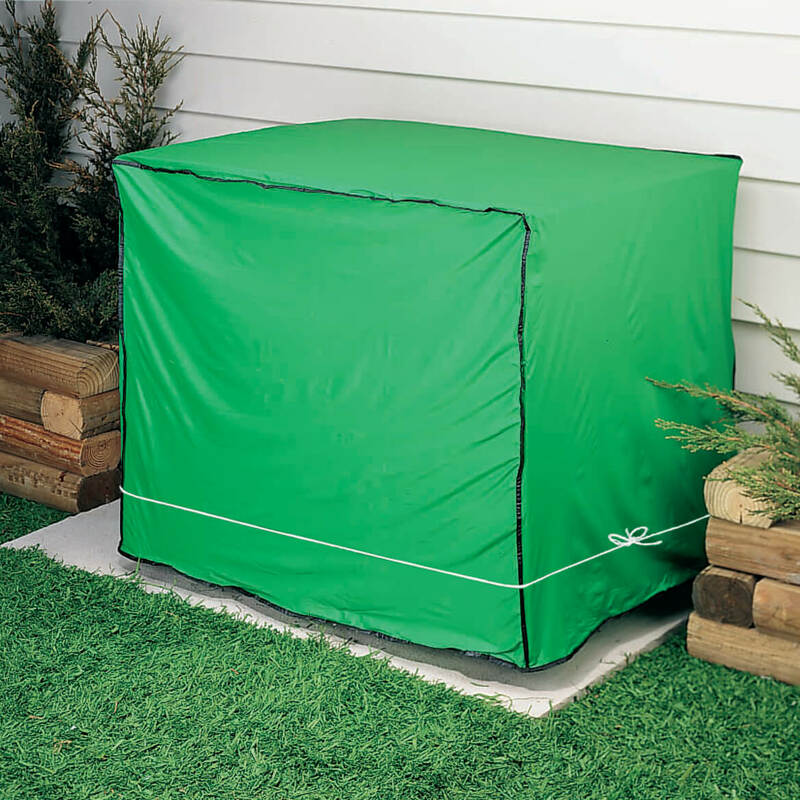 This cover kept the leaves, dust, and debris from trees off our new air conditoning system. 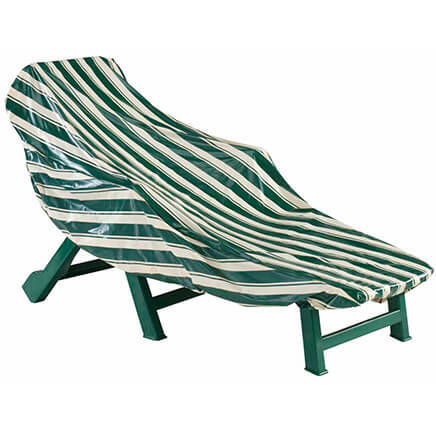 It is heavy duty and also easy to fold away for the summer. Good price too. Yes, the condenser cover is an excellent fabric for deterring debris. I depend on it at the end of each summer season. 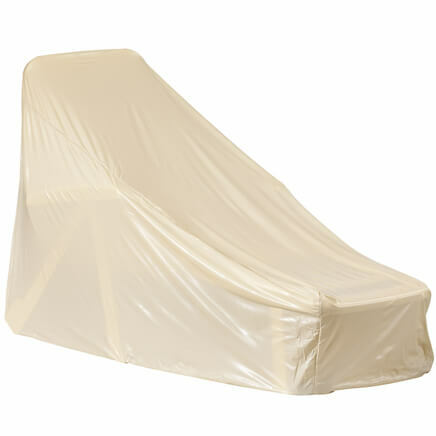 I used this item to cover up my air conditioner, easy to work with & of good quality. I used it to protect my generator in the garage. self-explanatory.......it's great & what we expected! Quality Cover at a great price! Great size and color. Could not find this size in any of the big box stores as my condenser is more compact. Color is not intrusive with shrubs and plantings. I also like that a tie down came with it. 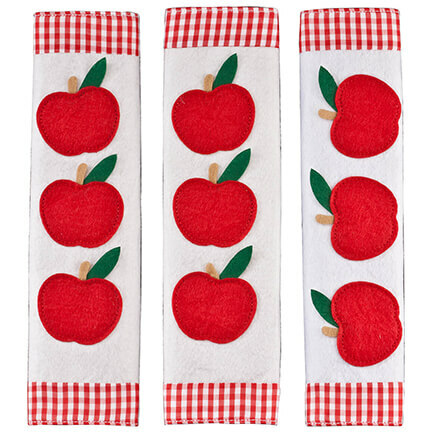 Very good quality, just heavy enough and very flexible. 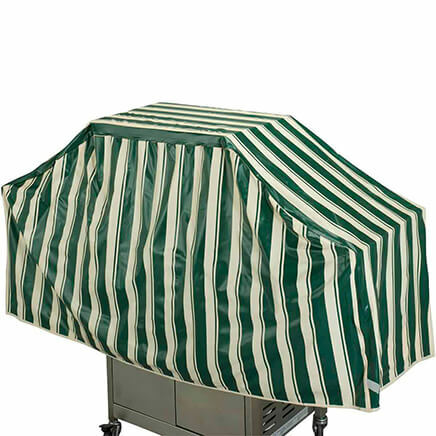 Covers our generator and keeps it readily accessible. The cover was of high quality for this type. I had one of the coverers before and it lasted for years. I was glad to find you still could get this item as my last one needed replaced. Fits perfectly over my air conditioning unit. Best price and fit I found. Don't pay manufactures outrages prices! The small size cover is perfect as cover for our portable generator. Good product for price. Waiting to see how well it holds up through the winter. I would like to point out that this product is actually 34x27x27 IN in size. It is not as your catalog saying 33x27x27 IN. I ordered an air conditioner cover and it is a choice piece of merchandise. It is a little big for our AC, but my husband just tied a small rope around it. It will serve our purpose well. Our AC sits outside on the ground, so I felt like it needed to be covered to keep out the debris! I am happy with it and would definitely order it again. It's good for what I need, but better quality material would be great. Like this product. Would buy again! This air conditioner cover is just what I needed. I love the cover but not so crazy about the tie down, but that is easy to replace! Delivery was in a timely manner. Product arrived in good shape. Would order again from this company. The AC cover cracked and tore after one winter season. I hoped it would last more than 1 year. The size is hard to find for a condenser of that size. The product is good for it's low price. Be careful when hadling this product because it is thin and lightweight. I would but this product again. Arrived with a split seam. Fixed with duct tape (too much trouble to return). Fit pretty good on my A/C. Vinyl appears quite thin. Cord tie difficult to use. We use this every year as the winter approches and take it off when srping appears. Usually when taking it off we can notice some tears on the corners and some down the sides that have to be taped.It doesn't look great since we use duct tape.But the last time we taped the inside.It still got more tears the next year. So we ordered a new one this year. bought lasted for serveal years. Just removed cover from unit. Top of cover has multiple 1" slits. Very suprised since we had relatively mild winter. Apparently very thin, and cheap material. Maybe if I had gotten the correct size I might be happier about this product. Have had trouble finding this item at stores in my area. Price is reasonable. Had one previously that I bought several years ago, and with the harsh winters, it finally began to tear so I purchased a new one. Needed to cover A/C Unit. FOR A/C UNIT. OURS WAS STOLEN. AND ONE FOR GENERATOR FOR OUTDOORS. I bought a cover from another catalog which disintergrated from the sun and this one looks alot better material. The last one we ordered was from MK and it needed to be replaced. Thank you. Needed to keep my air conditioner clean and dry thru winter. I want to prolong the life of my air conditioning units. to replace one I ordered two years ago. Keeps the winter elements from deteriorating the AC unit. Moved into house with outdoor condenser unit. Just the right size. Had one before. .. loved it!! Cover my AC , I use every year this particular cover, sometimes I can reuse depending on the weather over the winter months . If not, I come back and purchase a new one. Needed to keep snow out of my A/C condenser. To protect unit from weather. Very practical and durable. I've had these in the past to protect my air conditioning investment. They are sturdy and very useful. The last one I had from Miles Kimball lasted for 9 years and I used it every fall and winter. Thought it would help....didn't....too flimsy, and tore very easily in the wind, snow and rain. my central air measures 24x24x24 do you have a cover for my unit? BEST ANSWER: Thank you for your question. 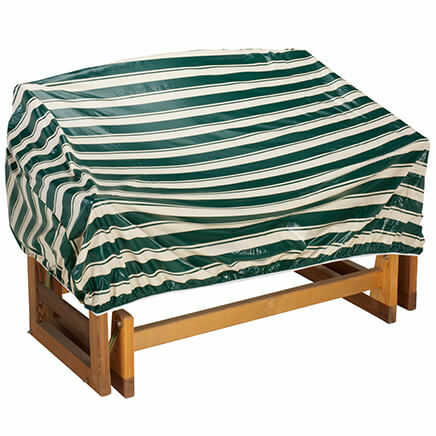 We do not offer a cover specifically for the measurements you have listed however our small cover would work for that size unit. We hope this information will be of help to you. Where do I find a round 23 inch condenser cover? BEST ANSWER: My condenser is round. I just measured the unit from side to side and purchased the one a little bit bigger. It fit perfect. Very good cover, never blew off from the wind. my unit 28.5 x 28.5 x 28.5 do you have one that will fit? BEST ANSWER: Thank you for your question. Unfortunately we do not have one that will fit your unit. We hope this information will be of help to you. I am trying to find a cover for my heat pump in Florida. They say it is not a good idea to fully cover the unit to avoid rodents eating the wires size is 37x34x45, however the 45 height needs to be shorter. Do you have any suggestions? BEST ANSWER: Thank you for your question. There are different sizes listed. Small: 33" long x 27" wide x 27" high. Medium: 42" long x 27" wide x 27" high. Large: 53" long x 27" wide x 27" high. Round: 27" high x 34" diameter. We hope this information will be of help to you. Do you have any other colors available for the a/c condenser unit? BEST ANSWER: Thank you for your question. 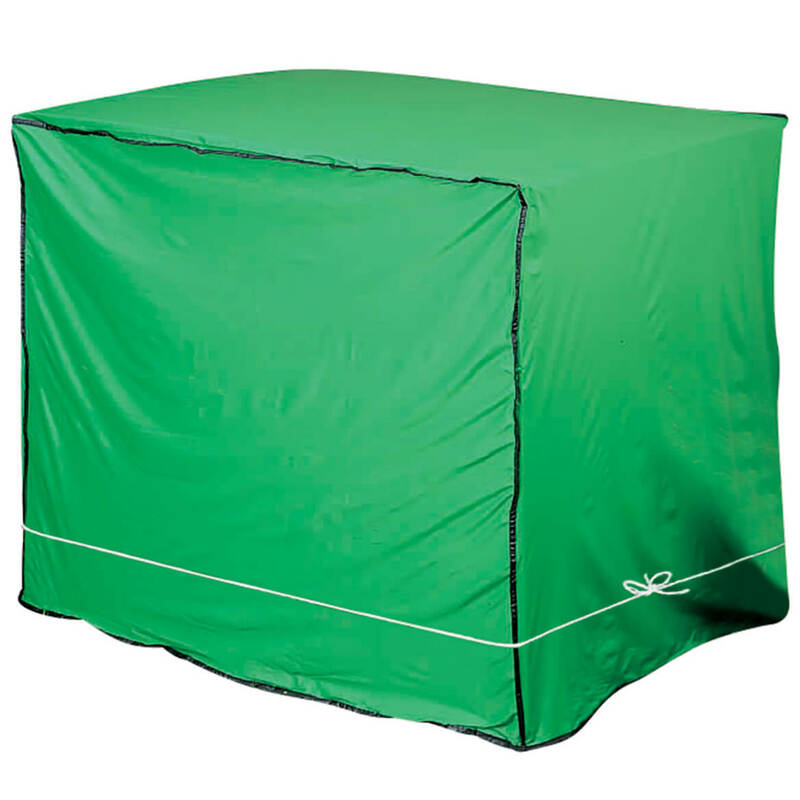 At this time the Condensing unit cover only comes in the green as shown. We hope this is of help to you.